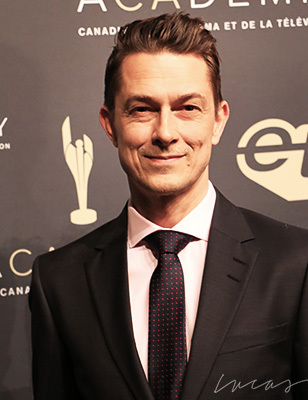 Peter Stebbings at the 2019 Canadian Screen Awards © 2019 Ralph Lucas. Peter Stebbings is a veteran actor who started practicing his trade at the Vancouver Youth Theater when he was just 12 years old. He worked at various odd jobs growing up, including busboy and bike courier, before making the serious move to acting. At 22 in went to New York City to study at the Circle in the Square Theater School. 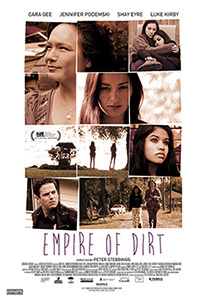 After New York, he returned to Canada and made his mark playing Kevin Sharp on the hit series Madison, a role that earned him two Gemini Award nominations as Best Actor in a Continuing Leading Dramatic Role. 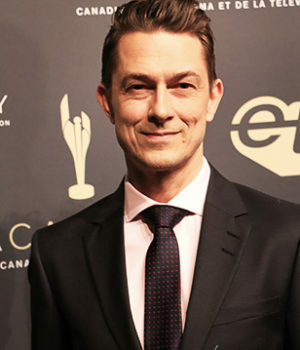 He played the role of Alvin Klein on the series The Listener.